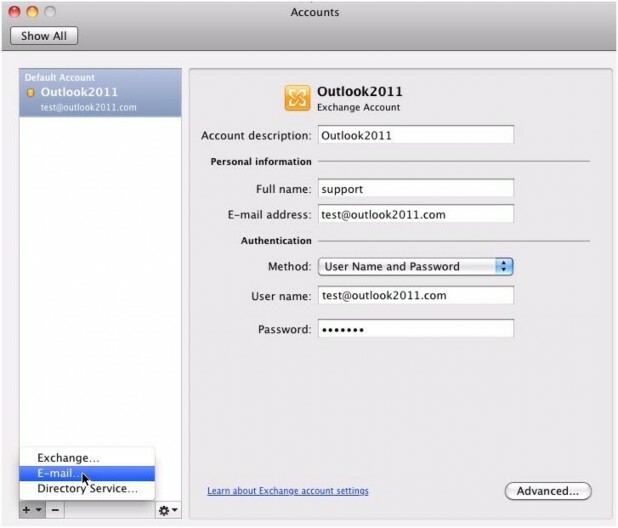 Once you have been assigned permissions to send as a distribution list, you will need to set up the "Send As" ability for the user in Outlook 2011. 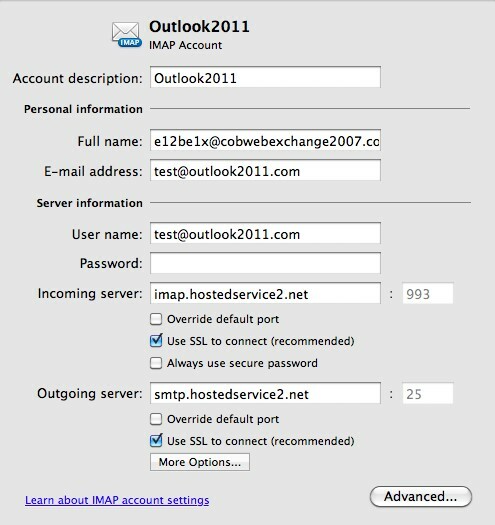 In Outlook 2011, go to Tools > Accounts, click on the + ("Add") button at the bottom of the accounts list, and select E-mail to add an email account. Enter account information. When you have filled in all the information, click Add Account. 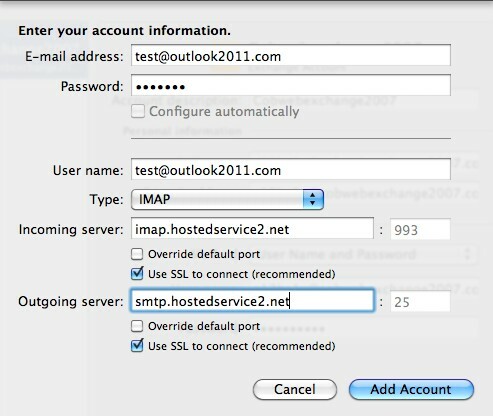 Enter the email address of the distribution list and the password for your own mailbox. 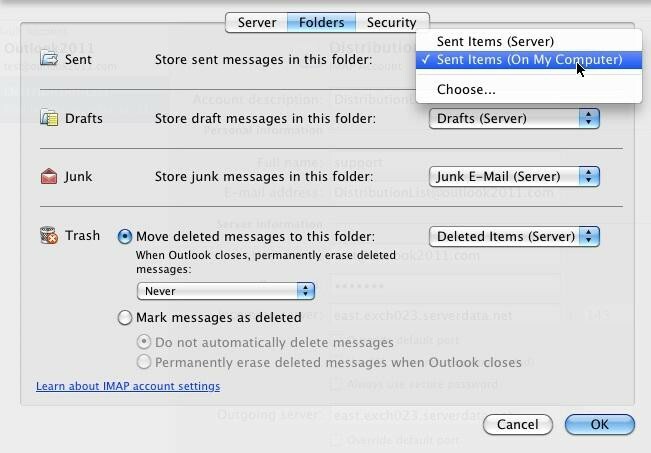 For User name, use your mailbox address. To find Incoming server and Outgoing server settings, navigate to Admin Control Panel > Get started > Advanced settings. In the newly created account, click More Options under Outgoing server. 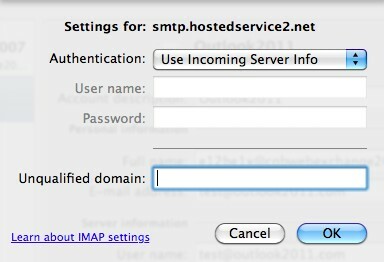 In the Authentication box, select Use Incoming Server Info. Click Ok.
option, select Sent Items (On My Computer). Now that you have set up the delegate permissions, you will be able to select the primary mailbox or the distribution list as the sender address when composing a message. 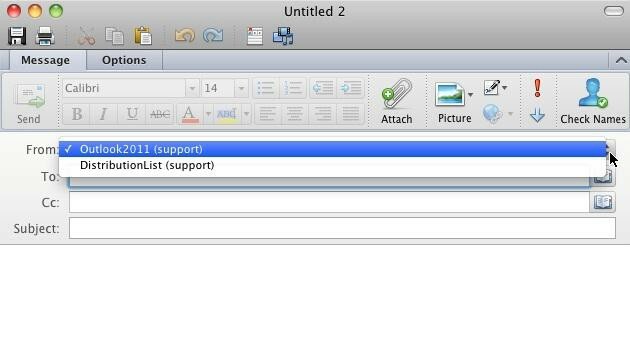 To do this, create a new message, click the arrow next to the From field, and select the desired sender address from the list.